UPDATE: Kyle has been found safe in Mississippi. Police said they picked up signals from Jabusch’s phone and when they called his number, he answered. The local sheriff’s department in Carrollton County, Mississippi picked up the teen. Update: It has now come out that Kyle left his family a note saying he was leaving before he went missing. One of Kyle’s friends, Brendan Roode, said that Kyle may have been upset after his parents found out he damaged the family car and led them to believe it was damaged in a parking lot. 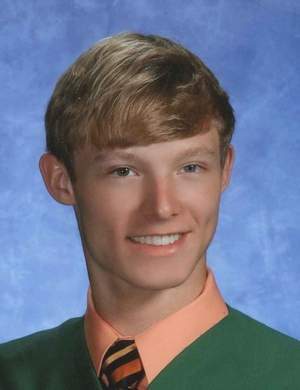 Kyle Jabusch, 18, was last seen at him Morris Lane home in Mohegan Lake near Yorktown, New York on January 23. Kyle’s mother, Kathleen Jabusch said that Kyle was in his room when she and her husband went to bed. The next morning he was gone by 7:30 a.m.
Kathleen said tat Kyle was an avid runner who jogged near an old quarry off Grant Avenue in Sylvan Glen Park. Attempts to contact him on phone were not successful as it appears to not be turned on. Kyle is a recent Yorktown High School graduate. He is 6 feet, 150 pounds with blond hair and blue eyes. If you have any information about his whereabouts, please call 914-962-4141. Thank you for sharing excellent informations. Your site is very cool. I'm impressed by the details that you've on this web site. It reveals how nicely you perceive this subject. Bookmarked this web page, will come back for more articles. You, my pal, ROCK! I found just the information I already searched everywhere and just could not come across. What a perfect site.